Bob Nightengale from the USA Today has been all over this from the start. Hear me out. As always, my bias will show to start. 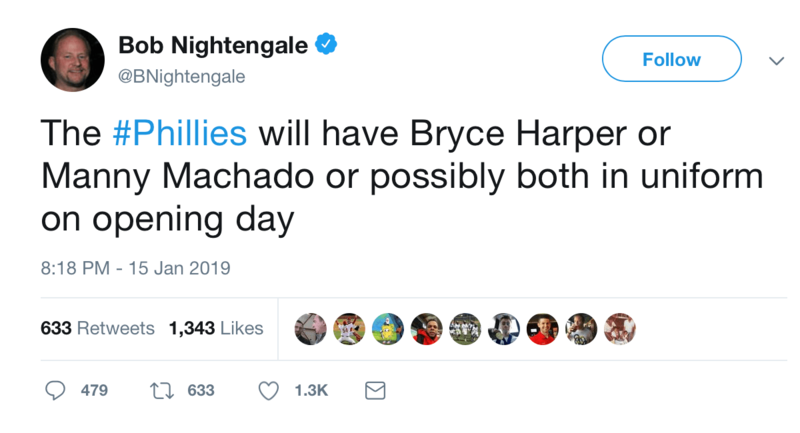 OF COURSE I WANT THE PHILLIES TO LAND THEM BOTH! Who wouldn’t? However my point is, for Bryce and Manny to come to Philly and put the Phillies over the top, that’s how you enter the record books. Putting this city over the top, legendary. 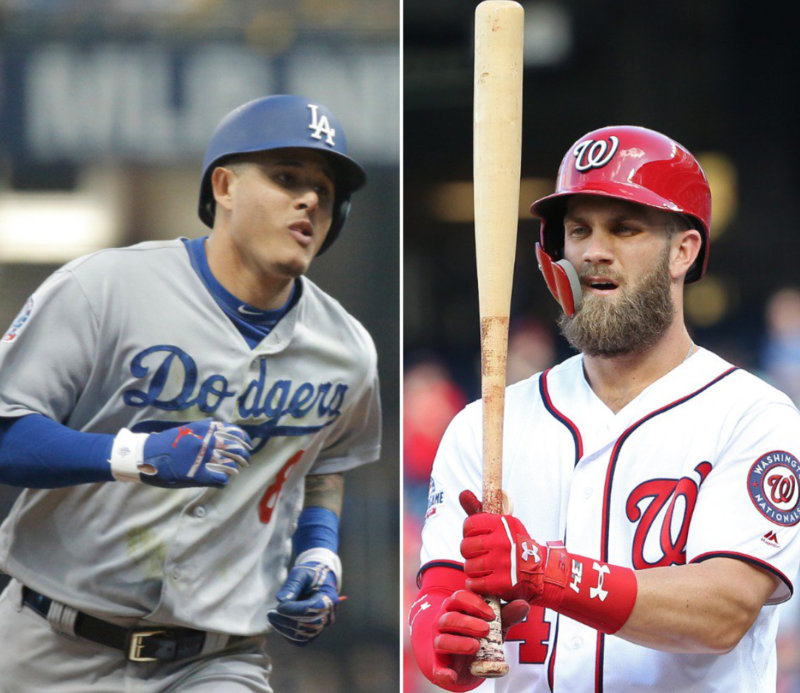 Playing with the Dodgers would be a great opportunity for Harper, but it seems since he is with Scott Boras, the highest price goes. You don’t roll with him and not do so. Money talks. However, Manny to the White Sox? YEESH! 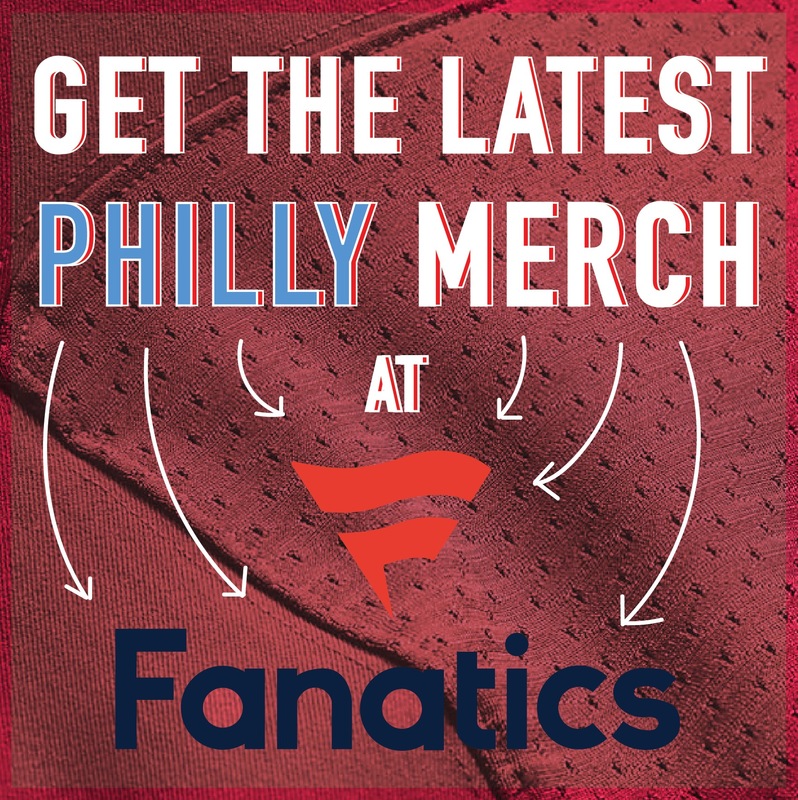 Come to Philly and LFG! Will the Eagles keep Nick Foles?